We’re delighted to be supporting six Greater Manchester-based artists with a Jerwood Creative Fellowship for MIF19. 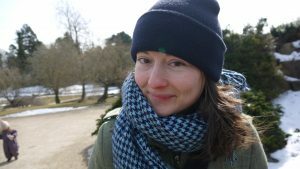 As part of their fellowship, each artist will spend time behind the scenes with the international artists who are making new work for this summer’s Festival: exploring how work is created, gaining insights into artistic practice and process, and learning new skills in our unique Festival environment. The six MIF19 Jerwood Creative Fellows are: Remi Adefeyisan, a rapper and producer; Nasima Begum, a poet, producer and creative practitioner; Naqqash Khalid, a writer-director; Jack Sheen, a conductor and composer; Caroline Ward, an artist working across moving image, design and sound; and Yusra Warsama, a performance poet, actor, writer and theatre practitioner. You can read more about each artist below and we’ll be posting updates of their journey via our news items. 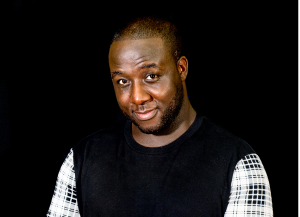 Remi Adefeyisan is a producer and rapper who has planned, organised and performed at a wide variety of events, theatre, concerts and tours, including at HOME, the Royal Northern College of Music, the University of Salford, the Edinburgh Festival Fringe, TEDx and Brouhaha in Liverpool. Previously awarded a Stage One New Producer bursary, an Arts Council England grant, a Made at HOME commission and funding from the Prince’s Trust, he produces work that breaks away from traditional genres, giving space for self-expression and encouraging co-creation. Remi produces much of his work under the banner of the Truth Be Told theatre company, which he founded in August 2012 and embodies his philosophy of co-creation. He was previously the Creative Producer of the Manchester International Roots Orchestra (MIRO), founded by Community Arts North West (CAN) and the Royal Northern College of Music (RNCM). Nasima Begum is a poet, producer and creative practitioner. 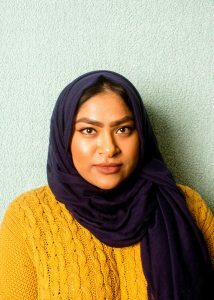 She is a board member of Young Identity and has been a member of the collective since 2013, and is also currently the Youth Development Lead and Acting Coordinator for the Manchester Bangladeshi Women’s Organisation. Nasima has worked with Contact, HOME, the Royal Exchange Theatre and The Lowry, and has performed at the BBC’s Contains Strong Language poetry and performance festival, the Hay Festival, MACFEST, Bradford Mela, the Festival of Manchester and, in January 2019, the British Council’s #BritLitBerlin event in Germany. Nasima explores intersectionality and personal experiences within her work. Naqqash Khalid is a writer-director who is presently developing his first feature-length film. He has recently completed work on Stock, a short film starring Idir Chender, Hania Amar and Sarah-Jane Potts. Commissioned by Sky Arts, Stock is due to be broadcast in March 2019. 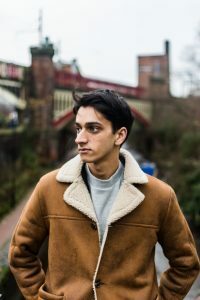 Naqqash comes from a theatre background, and his stage work has toured fringe venues across the UK. His latest live piece, Before a Pack of Wild Dogs Eat My Face, premiered in January 2019 at HOME’S Push Festival 2019 as part of its Propel 2.0 strand showcasing new works in progress. Naqqash is also a lecturer in Media and Performance at the University of Salford. Jack Sheen is a conductor and composer who, in 2017, was appointed by Sir Mark Elder as the Royal Northern College of Music’s youngest ever Junior Fellow in Conducting. Described by Tempo magazine as ‘the omnipresent wunderkind of British new music’, Jack is one of the curators of the London Contemporary Music Festival and founder of An assembly, a group dedicated to new music, installation and performance. He has worked with many of the world’s leading composers, including Christian Wolff, Michael Finnissy, Heiner Goebbels, Gerald Barry, Chaya Czernowin, Julian Anderson and Eli Keszler. 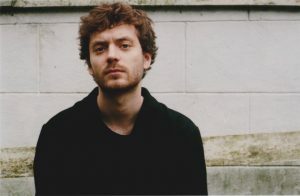 His music has been performed by orchestras and ensembles including the London Symphony Orchestra, the BBC Philharmonic, Aurora Orchestra, Manchester Camerata, Apartment House, EXAUDI, Plus-Minus Ensemble and Psappha, and commissioned by organisations such as Opera North, the Aldeburgh Festival and BBC Young Artists Day. Caroline Ward is an artist whose practice works across moving image, design and sound to consider the biopolitics of coexisting with non-human species and matter. Her practice acts as critical explorations into the public imagination as a contested site, informed by architecture, geobiology and technology and focusing on posthuman perspectives. She is co-founder of Squirrel Nation, a studio that was artist-in-residence at the Stuart Hall Library at Iniva (the Institute of International Visual Arts) in London throughout 2018. Caroline trained in fine art at the University of Brighton and was recently awarded a Masters in Research by the School of Architecture at the Royal College of Art. Her work has been shown at the Wellcome Collection, Abandon Normal Devices, Shuffle Festival and Brighton Digital Festival. Yusra Warsama is a performance poet, actor, writer and theatre practitioner who creates work both through play and through the exploration of life experiences in the world we live in. Her work takes many forms, from a one-woman show using spoken word, storytelling, live art and physical expression to Grace and Make–Believe (with Quarantine), which explore the one-to-one relationship between performer and audience. Since beginning her theatre career at Contact, Yusra has worked alongside the likes of Morganics, Sista Native and Lemn Sissay. 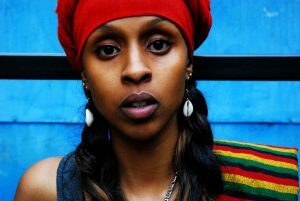 Her major collaborative work includes Don Letts’ Speakers Corner, alongside artists such as Skinnyman and Mad Flow, and Rites, for Nationtal Theatre Wales. She is currently working on expanding a directorial piece inspired by Maya Angelou’s iconic poem Still I Rise; on adapting and directing her version of Federico García Lorca Lorca’s The House of Bernarda Alba; and two one-women shows with Manchester theatres. This is the second edition of MIF’s Jerwood Creative Fellowships, which are generously supported by our partners, Jerwood Arts. The Foundation is dedicated to imaginative and responsible revenue funding of the arts, supporting artists to develop and grow at important stages in their careers. The aim of its funding is to allow artists and arts organisations to thrive; to continue to develop their skills, imagination and creativity with integrity. It works with artists across art forms, from dance and theatre to literature, music and the visual arts.